I'm excited to share today's collaboration with you! 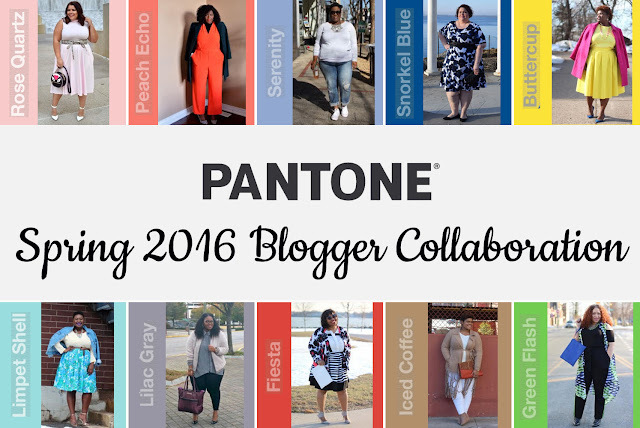 I was thrilled when Jamilyn of Style Over Size contacted me to participate in this Pantone Spring 2016 collaboration. As many of you know, every year, pantone colors of the season are shared and this spring, there are a good mix of bright colors and even neutrals. Even though I love bright colors, neutrals always seem to take the cake in my book. When I saw the color Iced Coffee, I knew I definitely wanted to style it. My take on Iced Coffee is light brown and tans. Of course, my immediate thoughts went to suede, trench coats and khakis. I decided to style my Ashley Stewart fringe jacket with winter white, including jeans from Fashion to Figure. 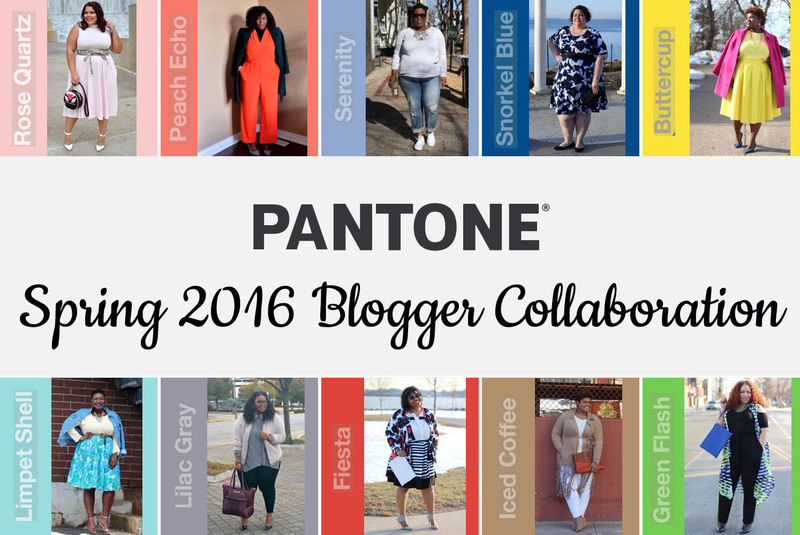 Take a look at the other fabulous ladies and how they rocked the Pantone Spring 2016 colors. Which pantone color is your favorite?